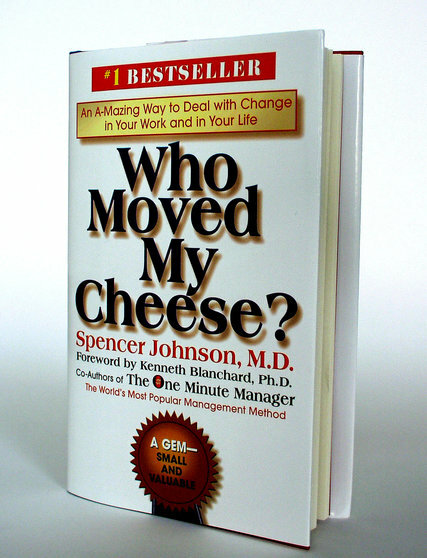 Many of you might have read the tiny but most effective book " Who moved My Cheese" , written by Dr. Spencer Johnson, who was a Medical Doctor by profession. Though he is not a Civil Engineer, I am posting about him as his books are to be read by all. Spencer Johnson, who left behind a medical career to write short books about life and business, including “Who Moved My Cheese?” — a parable about embracing change that has sold 28 million copies worldwide and translated into 44 languages— died on July 3rd, 2017 in San Diego. He was 78. The cause was complications of pancreatic cancer, said Nancy Casey, his executive assistant. “Who Moved My Cheese?,” which was published in 1998, was the story — in 94 pages of large type — of two mice, Sniff and Scurry, and two tiny people, Hem and Haw, looking for cheese in a maze. When the cheese supply runs out at Cheese Station C, the mice leave without angst to find more. But Hem and Haw resist, refusing to accept change. Haw overcomes his anxiety and ventures out of his comfort zone — at first timidly, but then, gradually, with more confidence — in search of a new supply of cheese. The book became a publishing phenomenon and a workplace manual that preached how flexibility in the face of changing times will reward people. Those who are wedded to the past and lag behind, like the intransigent Hem, will not survive. “Spencer built a fable that helps people deal with change in a really accessible way,” said Ivan Held, president of G. P. Putnam’s Sons, which published the book. In an interview, he confirmed its sales figures and said it had been translated into 44 languages. “Who Moved My Cheese?” was not Mr. Johnson’s first blockbuster book. He and Ken Blanchard, a business consultant, collaborated on “The One Minute Manager” (1982). The story of a young man searching for an effective manager to work for (and emulate), the book lays out the goals, secrets, praisings and reprimands that defined effective management. “Who Moved My Cheese?” has sold 28 million copies since it was published in 1998. Mr. Johnson met Mr. Blanchard at a party in late 1980. At the time, Mr. Johnson was writing children’s books with his first wife, Ann Donegan, about historical figures like Winston Churchill, Jackie Robinson, Christopher Columbus and Confucius. They self-published the book — also a slim volume, at just over 100 pages — to great success before they negotiated a deal with William Morrow & Company. Mr. Johnson’s agent, Margret McBride, said that Larry Hughes, then president of Morrow, balked at Mr. Johnson’s plan to charge $15 for the book. Instead, he said, his sales manager wanted to set the price at no more than $7.99. Mr. Johnson objected, saying that he and Mr. Blanchard were already charging $15 and could not meet the demand; before that, they were charging $10 for photocopies of the book. Mr. Hughes agreed. Morrow charged $15 a copy with a money-back guarantee and a gold stamp on its cover that exclaimed, “Small, Expensive and Invaluable!” It, too, has sold millions of copies. Subtitled “An A-Mazing Way to Deal With Change in Your Work and in Your Life,” the 94-page book, published in 1998, became a No. 1 bestseller, largely through word of mouth and the testimonials of chief executives from such companies as Procter & Gamble and Hewlett-Packard. Even though the Financial Times described “Who Moved My Cheese?” as “a 94-page work of stupefying banality,” that didn’t stop it from being translated into 44 languages and selling more than 28 million copies. Dr. Johnson reportedly kept 50 percent of the original cover price of $19.95. 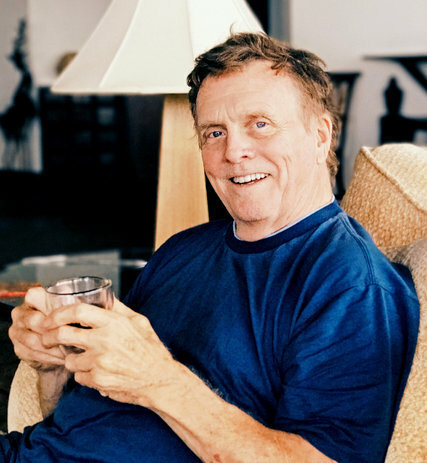 Patrick Spencer Johnson was born on Nov. 24, 1938, in Watertown, S.D. His father, Jerauld Johnson, was a builder, and his mother, the former Madeline Sankey, was a teacher. He grew up in Los Angeles, earned a bachelor’s degree in psychology at the University of Southern California, then graduated from the Royal College of Surgeons in Ireland. With medical clerkships at the Mayo Clinic and Harvard Medical School, he seemed assured of a physician’s career. But while working in a hospital, he grew frustrated at seeing the same patients return with the same ailments, as if they were not trying to better their lives, Ms. McBride said in a telephone interview. He went on to work in Minnesota for Medtronic, a medical device manufacturer, as its director of communications. Using his medical background and a simple writing style, he wrote short books to help customers understand complicated technical information. He abandoned medicine, he said, after concluding that the underlying causes of illness were largely rooted in the mind rather than the body. He published more than a dozen children’s books before embarking on his “One-Minute” series in the 1980s. A best-selling author for more than 30 years, Mr. Johnson assiduously avoided publicity. He refused to have his photograph on his book jackets and rarely did interviews. Although his books were short, it took Mr. Johnson years to write them, he told USA Today in 2003. He also solicited input from people around him to improve his manuscripts. Mr. Johnson is survived by his sons, Christian, Austin and Emerson; his sister, Constance Johnson; and his brother, Hugh. A fourth son, Cameron, died in 1990. Lesley Bostridge, his second wife, died in 2009.